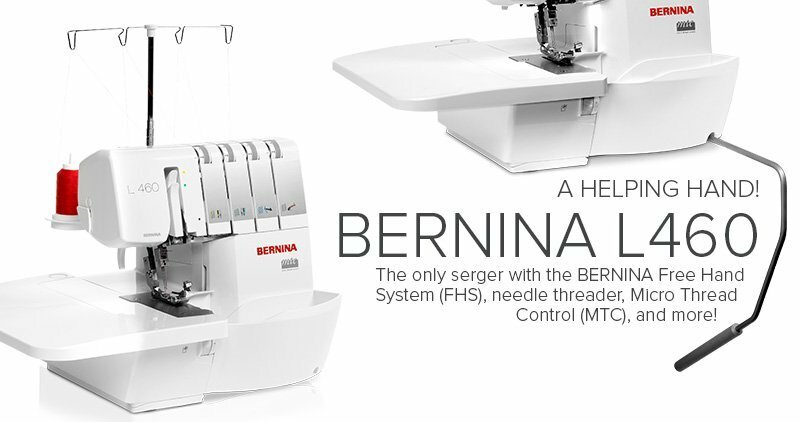 The new BERNINA overlocker L 460 offers up to 1500 stitches per minute and ensures beautiful and flexible stitches. The BERNINA L 460 is the perfect overlocker/serger for the creative sewer of knitwear. This serger/overlocker offers great sewing comfort. It cuts, sews and finishes in one single step. The L 460 produces seams and hems of highest stitch quality, from fine rolled hems to wide decorative edges.